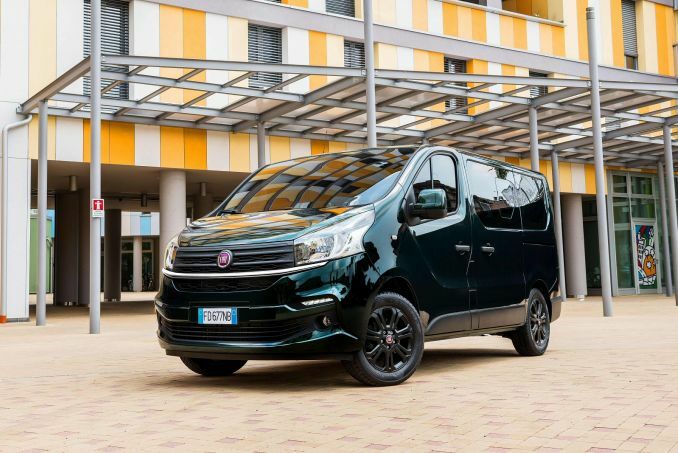 Get the latest Fiat Talento lease deals from Intelligent Van Leasing. We offer some of the best value deals in the UK on new Talento vans for your business. All our lease contracts include free delivery to the UK mainland, a manufacturer’s warranty, road tax, phone support and optional vehicle maintenance packages. You may think that as a sole trader, you won’t qualify for one of our business lease deals on a brand new Fiat van. But we can supply you with a shiny new Talento whether you are a one-man band, a partnership or a limited company with a number of employees. Our website has ordered the vehicles by cost starting with the most economic but you can alter this quite easily by just re-setting the filters to suit your own needs. Going over your agreed mileage limit can be expensive but who wants to feel restricted if you run your own business? We understand that business needs must come first and so we have some options available for you to try and mitigate excess mileage penalties. Call our team to learn more. By sourcing your own insurance, we feel that you will be best able to search for the right price and deal for your particular business. We don’t include motor cover in our van lease deals so you will need to organise a policy ahead of your Talento’s delivery date. Maintenance and repair do not come as standard and so you have two options. Either tick the box that says ‘customer maintained’ on your lease paperwork, this means you have full responsibility for the care and repair of your Fiat. Or, you can add our standalone maintenance package which bolts onto your lease agreement. Talk to us now about pricing and what this includes.